This unique source book gathers works first published by various northwest editors and newly-selected for reprinting by independent jurors from over 100 pieces. The portfolio is arranged in reverse chronology and includes: over 50 historical/archival images of editors, writers, poets, books, events, radicals, and photographers; symposia and essays on northwest literature, Chief Joseph speech, William Stafford, and C.E.S. Wood; 1877 Nez Perce War Diary of poet C. E .S. Wood; translations of poems & essay on the most famous Chinese Modernist poet Ai Qing; biographical sketches of Fred Hill, Minor White, C.E.S. Wood, and Nard Jones; reviews of poetry and prose by over twenty Northwest writers; public addresses on Nez Perce myth, regionalism, Wallace Stegner, editing and Oregon literature; interviews with Carolyn Kizer, Ursula Le Guin, and Richard Hugo; and a dialogue on northwest poetics at Wallowa Lake. “George Venn’s collection Beaver’s Fire usefully covers a lot of important ground—not just his own long and indispensable career as a Northwest writer and editor, but also the whole subject of Northwest history, literature, and lore. These are wise markings to travel our region by, and it is a welcome gift to have them done up handsomely in a book. 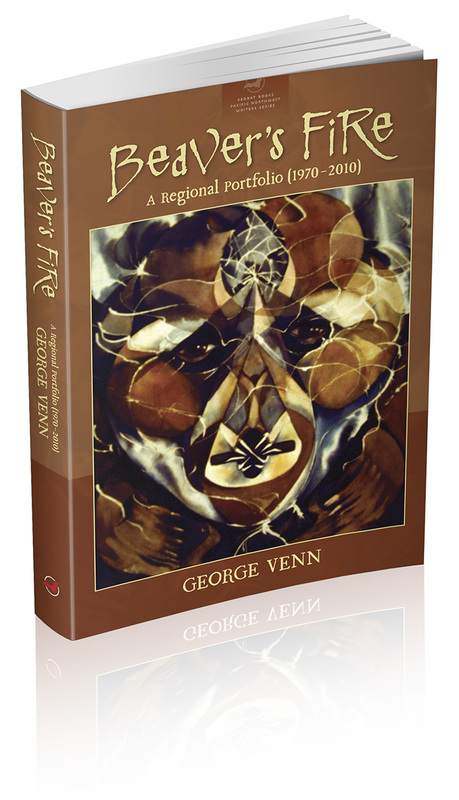 “George Venn’s Beaver’s Fire is much more than a valuable compendium of his life-long work to describe and promote the literature of our region. He understands the importance of place and has been its champion. He ranges over it, giving us context and honest assessment without sentimentalism. In his many roles—historian, writer, teacher, husband, friend, and colleague--George is a passionate champion of the power of stories to teach us and unite us, even in our differences. He has blazed trails, not of tears but of celebration, connecting our past to our future. It’s been a delight to follow them. 1. "Beaver and the Grande Ronde River"
3. "They Also Served: A Soldier's Pacific Theater Album, WW II"
4. Northwest Review "Symposium on Northwest Literature"
5. "Soldier to Advocate: C. E. S. Wood's 1877 Legacy"
6. "Rider in the Wilderness: Minor White in La Grande"
8. "Chief Joseph's 'Surrender Speech' as Literary Text"
9. "William Stafford in Northwest Literature"
11. "Editing an Invisible Literature: The Oregon Literature Series"
13. "Dialogue At Wallowa Lake"
15. "Ursula Le Guin with Eastern Oregon University Writers"
16. "Nard Jones, Weston, and Oregon Detour"
18. "Marking the Magic Circle"
20. "The Paradox of Ai Qing"
21. "Carolyn Kizer at Cannon Beach, 1981...with Tim Barnes"
23. "The Search for Sacred Space in Western American Literature"
24. "The Literature of Eastern Oregon"
25. "Elizabeth Gurley Flynn: Bringing Down Missoula"
26. 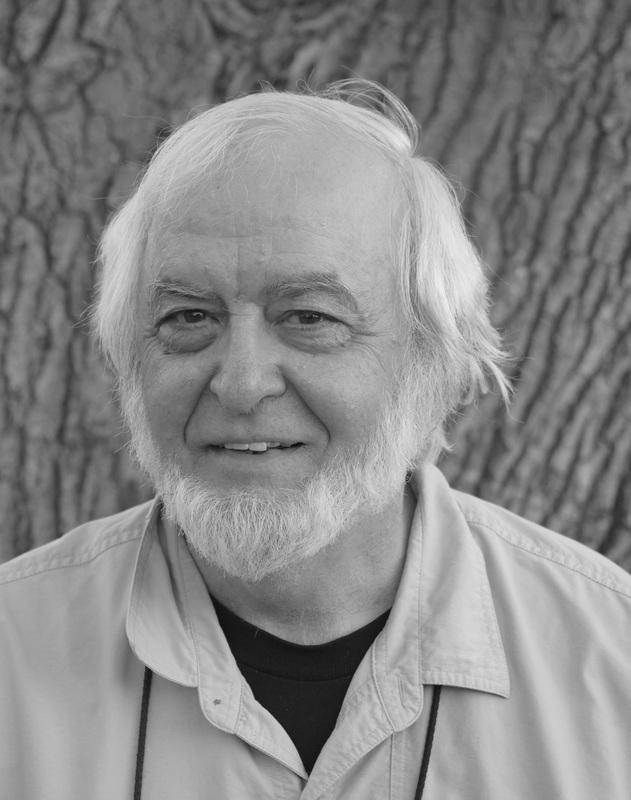 "Richard Hugo with Ronald H. Bayes"
“Beaver’s Fire combines George Venn’s passion, scholarship, and artistry by collecting in one volume legacy material and contemporary work. Venn proves that stories are not metaphors, symbols, or documents, but entities entirely unto their own, providing sustenance, solace, and seed, enriching our individual and collective lives. In Marking the Magic Circle we share and experience a snowbound evening simultaneously looking out into the world and deeply into ourselves. This is but one example of Venn focusing intently on the world at hand, and placing it in a complex, unique, and illuminating context. His gift is proving this close attention to our immediate physical and cultural surroundings renders us less provincial and more human and humane as citizens and selves. Poet, essayist, literary historian, editor, and educator, George Venn (1943– ) is a distinguished figure in Pacific Northwest literature. Raised by his maternal grandparents near Mt. Rainier, he was first schooled among the evergreen Cascades. In 1957 his family moved to the gold larch mountains of Spirit Lake, Idaho, where he graduated in 1961, then enrolled at The College of Idaho. In Caldwell, spring, 1967, his B.A. advisor Dr. Louie Attebery introduced George to Pacific Northwest literature and suggested he enroll at the University of Montana. While studying in Missoula, George completed a tutorial with Dr. Harold G. Merriam, renown northwest editor for two decades. In 1970, MFA granted, George moved to the fertile Grande Ronde Valley to teach at Eastern Oregon University. There, he offered his first Pacific Northwest literature course in 1971. Honored with the Distinguished Teaching Faculty award in 2002, he then retired to write. Since 1971 his diverse prose has been widely published. Editor of over 22 works, his leadership as General Editor of The Oregon Literature Series was honored by the 1995 Stewart Holbrook Award for “outstanding contributions to Oregon’s literary life.” In 1988, the Oregon Institute of Literary Arts awarded Marking the Magic Circle a silver medal. Over forty years, he published reviews, adjudicated literary contests, and evaluated manuscripts. Some 120 poems have appeared in print including a 1980 Pushcart Prize. In 1999 West of Paradise was a finalist for an Oregon Book Award. As a literary historian, he researched over 20 works including the widely-praised Soldier to Advocate, and his writing on Nard Jones’ Oregon Detour inspired the Northwest Reprint Series from OSU Press. As an educator, he was the first professor east of the Oregon Cascades to regularly teach Native American literature. In 1981–1982, he was among the first American writers to teach English in post-Cultural Revolution China.